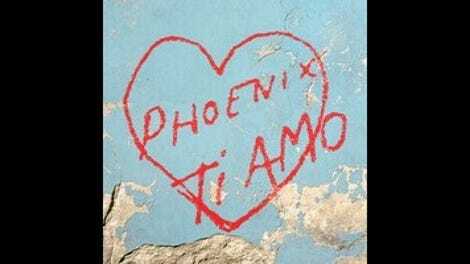 Phoenix has never been a straight guitar-pop band, but its sixth album, Ti Amo, is the first that puts those important six-stringed instruments fully in the backseat. Given the late-’70s/early-’80s vibe, maybe the guitars are even in the way-back of some wood-paneled station wagon. 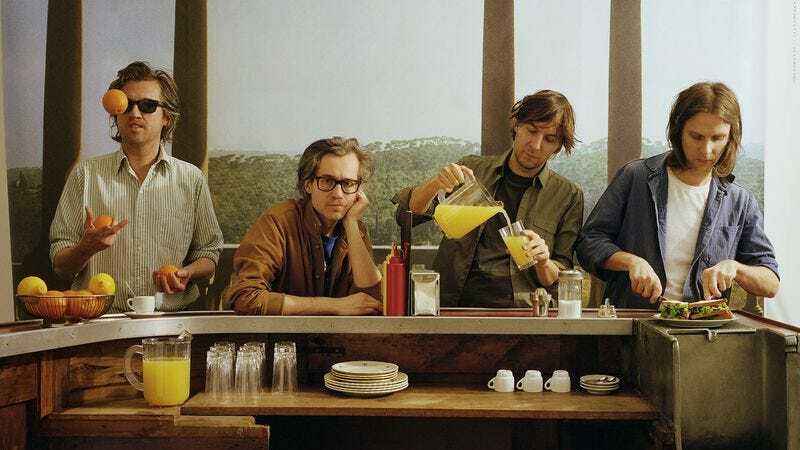 They’re replaced by believable, shiny synth grooves, but for fans of the band’s most rollicking, straightforward albums—particularly 2009’s career-topping Wolfgang Amadeus Phoenix—it might feel like there’s something missing. Which isn’t to say disco-fied Phoenix is a bad thing, but the French band trades something valuable for the slinky fun. Getting your groove on can be an easy way to accidentally lose emotional heft, and even though the lyrics here could very well be personal and deep—occasionally they are—they’re delivered in a package that feels like one long, flowing idea rather than a set of discrete songs. The whole thing is almost jarringly smooth. Album opener “J-Boy” introduces and summarizes the new vibe: It’s loping, summery, and catchy, but with a hint of cheese. That mainly comes from Thomas Mars’ occasional new vocal affectation, which is a little bit pillow talk, a little bit hip-hop cadence. It’s not as painful as that description might make it sound, but it gives credence to the thought that Phoenix is trying to step outside its normal parameters here—and is finding the waters a little bit choppy. The title track rides the same groove, though with a little more punch. It feels like a fantasy version of Italian disco, all bass and very little guitar, with Mars leaning against the jukebox, dreaming of “champagne and prosecco.” He even refers to “sophisticated soft rock,” a phrase that will surely be repeated derisively in any lukewarm reviews of the record. That cycle is rinsed and repeated several times through Ti Amo, to varying degrees of success: “TuttiFrutti” feels like the third in a Studio 54-inspired trilogy, like one idea stretched out thin. When Ti Amo dials back the slink, it feels a bit more alive: “Goodbye Soleil” echoes Phoenix’s pals in Air, moving out of the club and into space, at least a little bit. And “Telefono” echoes the Phoenix of old mostly closely, with the guitars at least evident, if not a key component. If this all sounds off-putting, that’s the weird thing about Ti Amo: It’s actually a lot of fun. It’s gorgeously produced and does a bang-up job of updating the sounds that it’s clearly so enamored of. It’s just not the kind of album—unlike Wolfgang Amadeus or 2006’s It’s Never Been Like That—that feels particularly urgent. Maybe it’s a pleasant diversion for band and audience, which is fine—it’s just never much more than that.